I started a new project with this fabric. 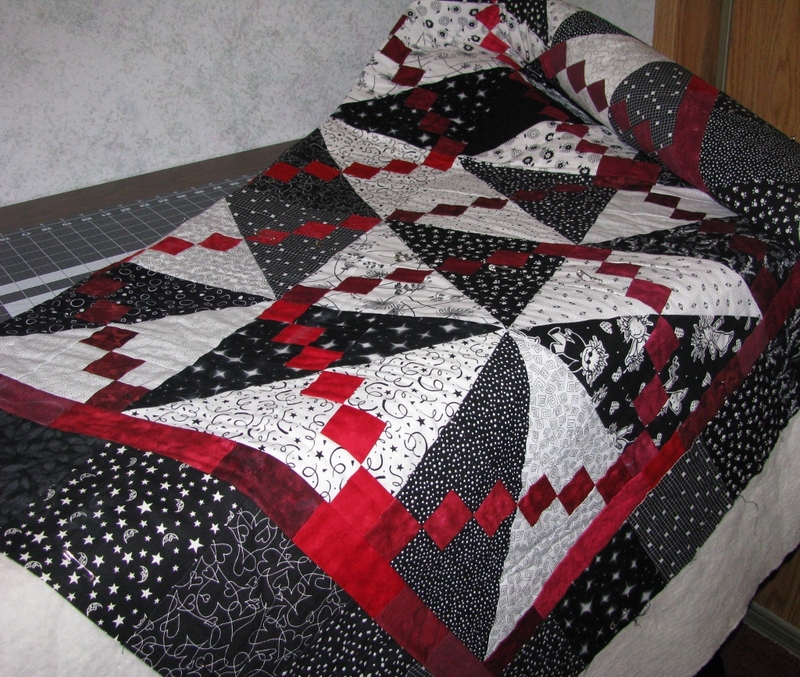 The pattern is Mod Times and can be found here. I wanted to make mine a bit bigger, so I went 5 blocks across and 5 rows down. 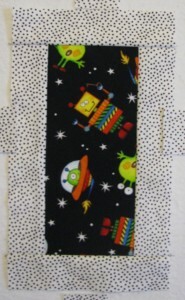 I ran out of the sashing fabric on the last row, but luckily I found some online and it is ordered. 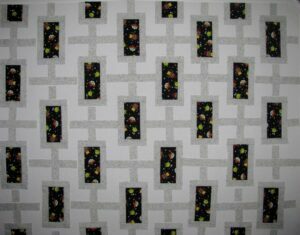 Here is a close up of the blocks. 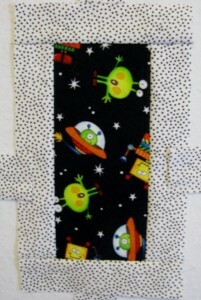 Aren’t the Robots & Aliens so cute? 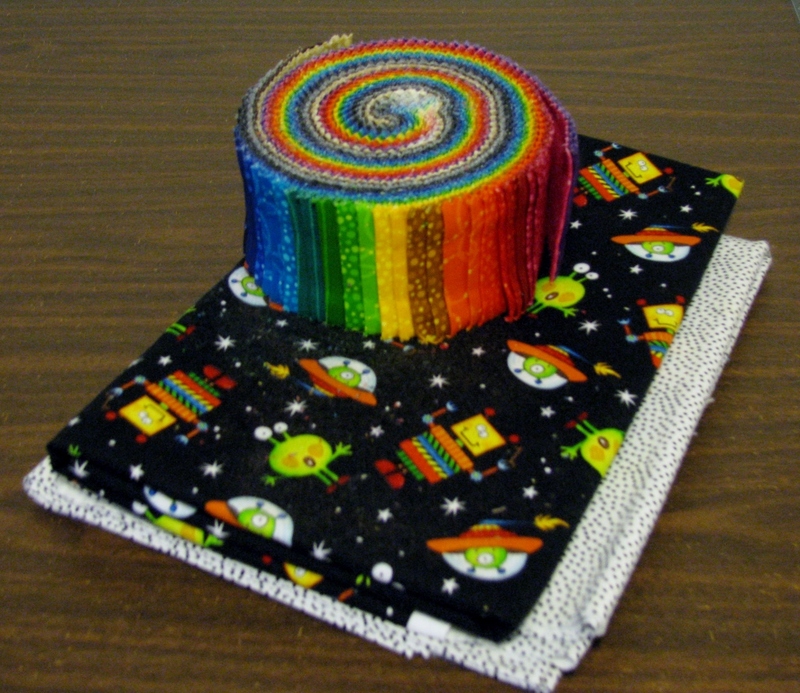 The jelly roll will be used as the background with a rainbow of colors across the quilt. 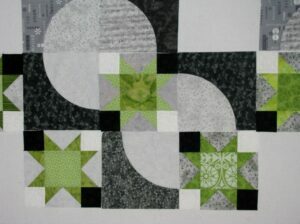 I hope to have all the fabric cut and organized on the design wall tomorrow. 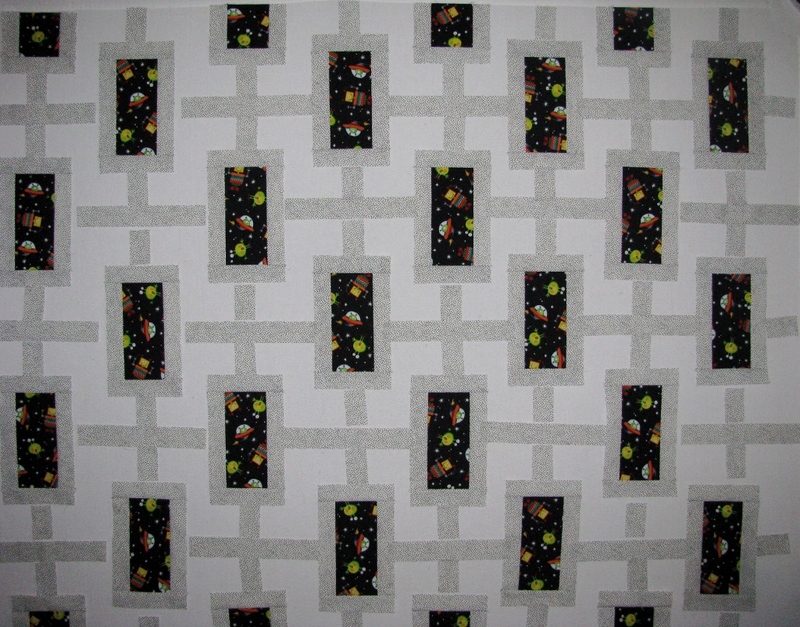 This is a fun pattern that looks more difficult than it really is.